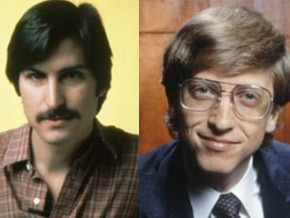 Since the late 1970s, Bill Gates and Steve Jobs quite simply wrote the future of computers with the battle between the Mac and the PC as the main stage. Their rivalry was so spectacular and far-reaching that it could embody the whole digital revolution all by itself. The two men were both ambitious and spirited, both born in the same year – 1955 – and both dropped out of university to pursue a single-minded ambition. Two stars on the same orbit… The two pioneers fought and disagreed, disdained and criticized one another, but also reconciled and shared projects and a mutual respect, their lives forever inextricably linked. Jobs and Gates is the story of the greatest duel a single industry has ever seen.